Riza gets a call from Roy, but is unable to say anything in fear of being watched by Pride. 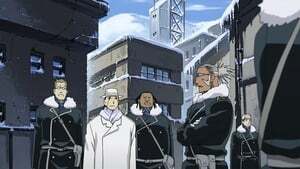 In the town of Baschool, Ed and Al, along with Winry, lose the guards that were assigned to them and end up running into May and Marcoh. 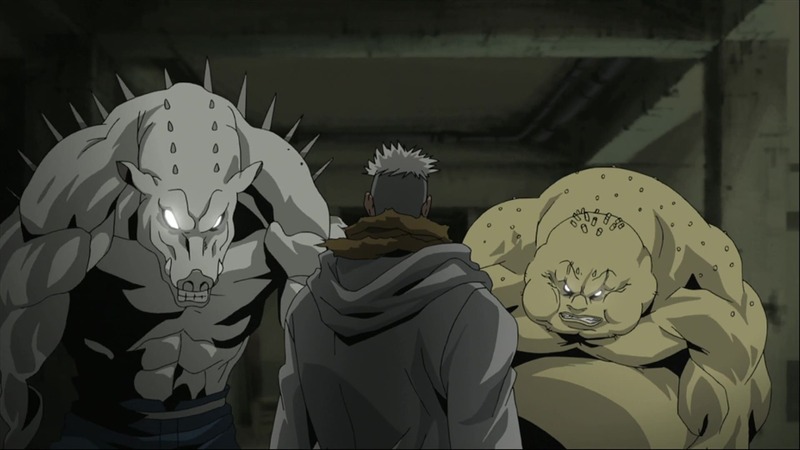 Meanwhile, Scar encounters a couple of Kimblee’s men, a pair of chimeras, and runs into trouble with them. Scar gets pinned, but Ed and Al arrive and beat the chimeras, before restraining Scar themselves. 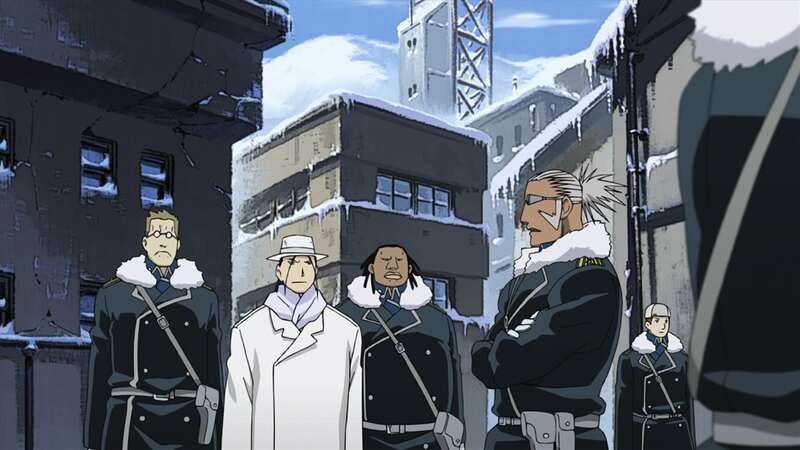 Winry and Miles arrive, and Winry confronts Scar face-to-face about her parents’ deaths. 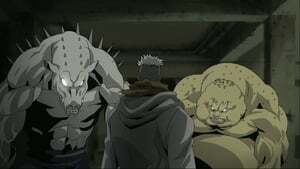 Explosions then take place and it appears that Scar has taken Winry hostage. Meanwhile, as Olivier’s squad retrieve the survivors from the tunnels, Briggs is approached by some people.